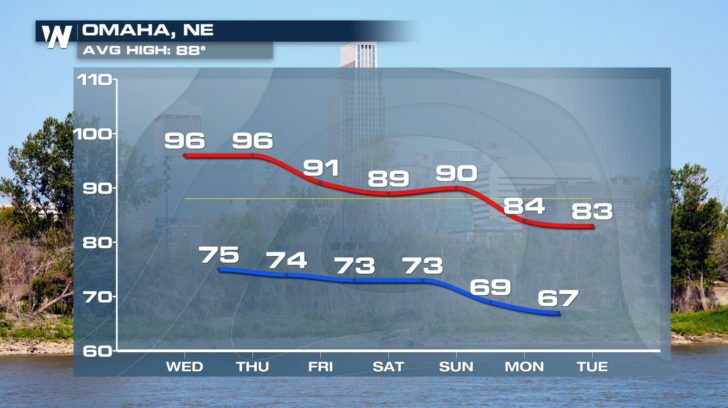 Well the Midwest got a BRIEF break from the heat and humidity but now it’s back and it’s sticking around for the rest of the week. 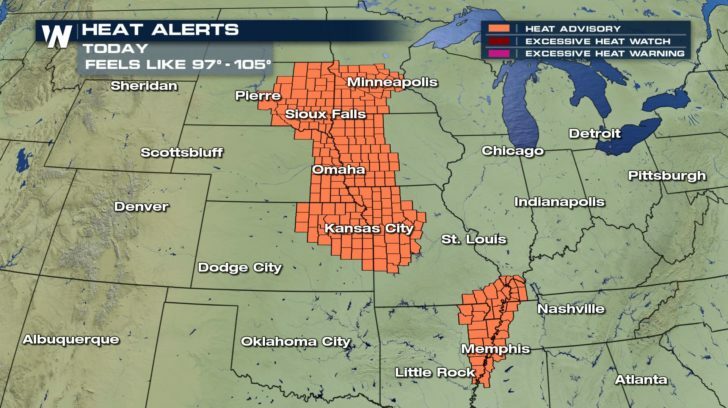 There are widespread Heat Advisories for Wednesday afternoon. 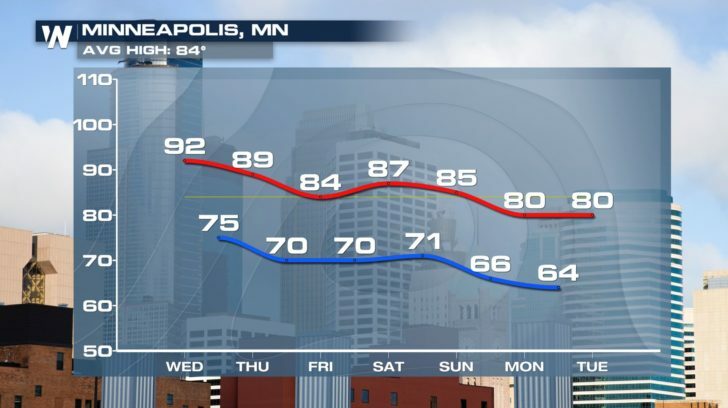 Temperatures will be climbing back into the upper 90s but with dew points in the 70s, it will feel more like the triple digits. 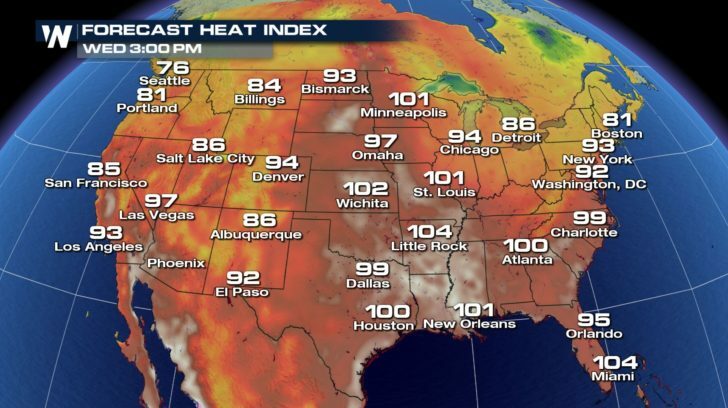 Why is this heat building? 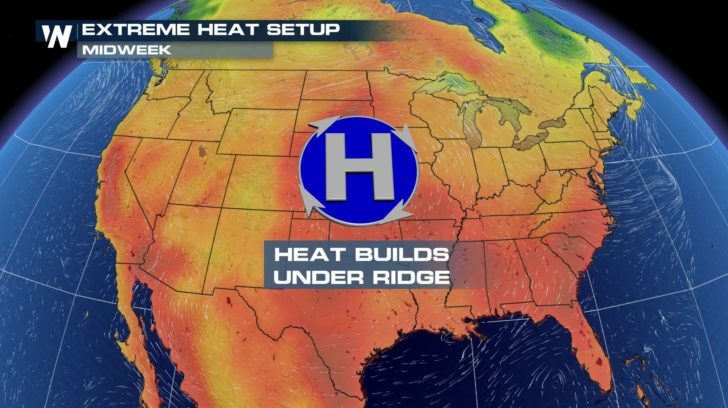 Well, a ridge of high pressure is set up across the middle of the country. The sinking and compressing air quickly heats up and therefore the mercury soars to above average temperatures. For Wednesday afternoon, temperatures will be around 5 to 10 degrees above average but it is really the humidity that makes it much, much worse. 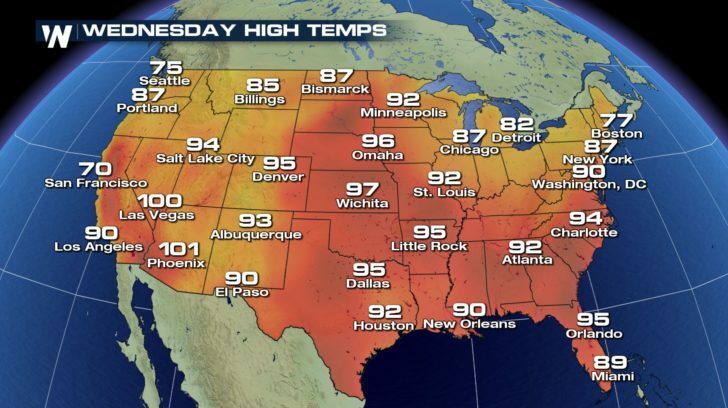 By the heat of the day, much of the middle of the country will feel like it’s in the lower 100s outside. 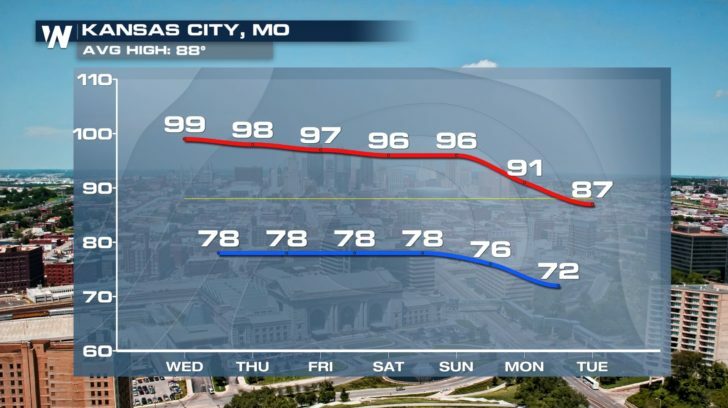 Temperatures will remain above average for the rest of the week before some relief arrives by the start of next week. Make sure to stay safe in this heat. Looking for some tips on how to handle the heat? Find more here. For WeatherNation, Meteorologist Kate Mantych.